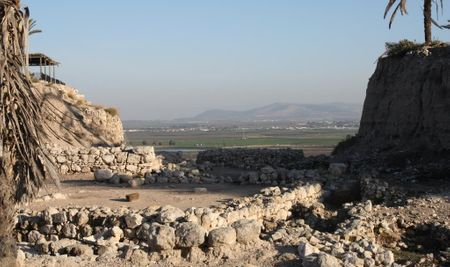 Armageddon is the Greek word for "Hill of Megiddo." This is the ancient hill of the Valley of Megiddo in the Plain of Jezreel .Depart to Megiddo, famous Armageddon from the Book of Revelation 16. 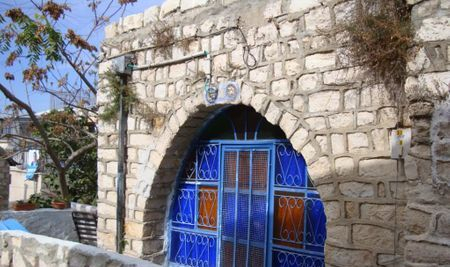 Visit the excavations, then continue to Beit Shearim, the Necropolis of the Talmudic period. Visit Zippori, the biblical capital of the Galilee with its beautiful mosaic floors. If Time permitting , one of the following are available :Beit Shean archeological excavations of the Roman & Byzantine town The Synagouge of Beit Alpha from the Byzantine era. Ein Harod museum of early settlement period Mt. Gilboa where the Philistines defeated king Saul, the first king of Israel Mt. Tabor, the location of the Transfiguratio and the magnificent overview of Jezreel Valley. Depart to Megiddo, famous Armageddon from the Book of Revelation 16. Visit the excavations, then continue to Beit Shearim, the Necropolis of the Talmudic period. Visit Zippori, the biblical capital of the Galilee with its beautiful mosaic floors .If Time permitting , one of the following are available :Beit Shean archeological excavations of the Roman & Byzantine town The Synagouge of Beit Alpha from the Byzantine era. Ein Harod museum of early settlement period Mt. Gilboa where the Philistines defeated king Saul, the first king of Israel Mt. Tabor, the location of the Transfiguratio and the magnificent overview of the Jezreel Valley. 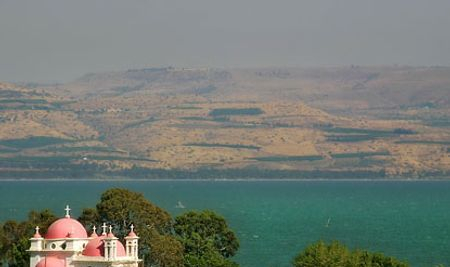 Drive north along the coastal road to Poria and overview of Sea of Galilee,Jordan Valley and Golan Heigts.Continue to overlook of Hammat Gader and ascend the Golan Hights to Shalom obervatory.Onwards to the city of Katzrin,the Museum and the excavations of Talmudic Katzrin.Visit the ancient synagogue of Katzrin.Ascend Mt Bental overlook Kuneitra Valley and Syrian border.Continue and stop at former syrian fortification.Return south via Jordan River crossing. 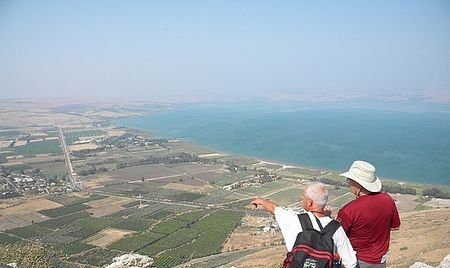 Join this adventure by driving through the Jezreel valley to Mt. 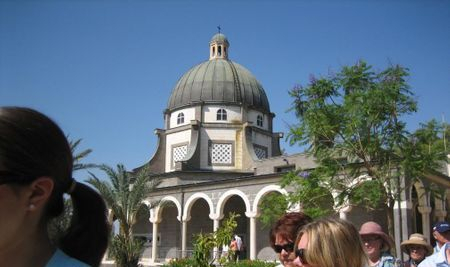 Tabor, the site of the transfiguration and an important region in the Old Testament. Continue via the lower Galilee to visit the crusader castle at Belvoir, with its breathtaking view of the entire Jordan valley. 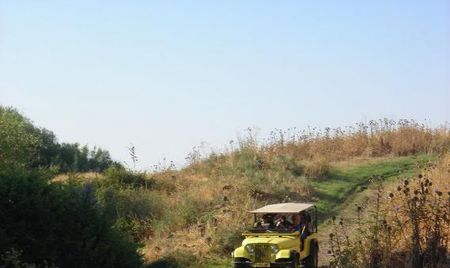 We will drive along the banks of the Jordan River north and visit the Yardenit where the river exits the Sea of Galilee and the site of the Baptism. On route a light lunch will be served . The tour will begin its journey traveling north alongside Israel’s scenic coastal highway, providing a magnificent view of the Mediterranean Sea and the Plain of Armageddon. Arriving in Nazareth we visit the Church of Annunciation , next to the Church of Annunciation lies the Church of St. Joseph, the proclaimed site of residence of the Holy family and the carpenter’s workshop. Driving through Cana of Galilee and following the trail of miracles we will arrive at Tabgha-the site of the Miracle of the Loaves and Fish.The next stop will be Capernaum-ruins of an ancient synagogue and a settlement that also said to be the place where Jesus lived.Driving through the city of Tiberias we will continue to "Yardenit",this Jordan River Baptismal complex attracts pilgrims from all over the world.And as we are touring the area enjoy panoramic view of the Sea of Galilee.